Location: County Kerry, Northern Ireland. Notes: The last bastion against Queen Elizabeth I in the First Desmond Rebellion, Listowel Castle was built in the 15th century and was the last fortress of the Geraldines to be subdued. It fell after 28 days siege to Sir Charles Wilmot on 5 November 1600, who had the castle's garrison executed in the following days. One of the best examples of Anglo-Norman architecture in Kerry, the castle has now been restored to some of its former glory. The castle is open to the public for tours on a daily basis. The castle became the property of the Hare family, the holders of the title of Earl of Listowel, after reverting away from the Fitzmaurices, Knights of Kerry. It is now a national monument. Today, the remnants of the castle include two of its four towers, which are joined by a heavy curtain wall, and the unusual feature of an arch below the battlements. Archaeological excavations and records of the castle reveal that it was originally of similar form to Bunratty Castle, Co. Clare. In 2005, restoration works were commenced by the Board of Public Works. The stonework has been cleaned by a team of expert craftsmen, while the upper section, which had become particularly distressed with the passing of time, has been restored and rendered waterproof. An external staircase, in keeping with the architecture of the structure has been erected to enable the public to access the upper stories. Another Anglo-Norman castle at Woodford, Listowel, was built in the post-1600 period by the Knight of Kerry. The Seanchai Literary Centre, which is adjacently located in a Georgian town house, will help visitors learn more about the castle's history and, according to the center coordinator, Cara Trant, the entire project should be of significant value to Listowel as a tourist attraction. 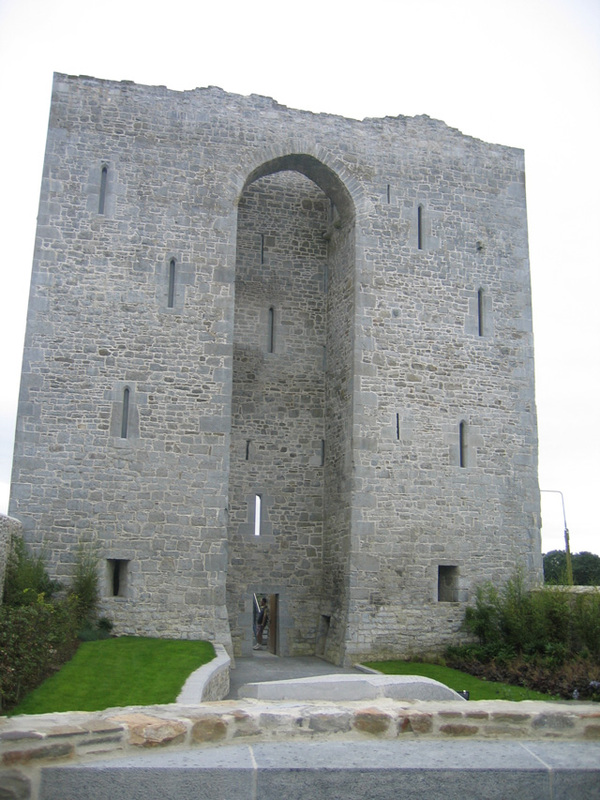 The restoration work at Listowel Castle was carried out by the Office of Public Works.